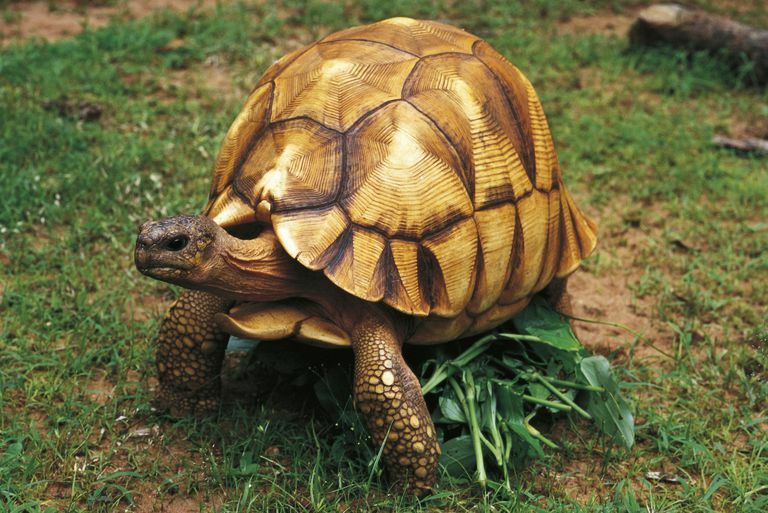 The angonoka tortoise (Astrochelys yniphora), also known as the ploughshare or Madagascar tortoise, is a critically endangered species that is endemic to Madagascar. These tortoises have unique shell colorations, a characteristic that makes them a sought-after commodity in the exotic pet trade. In March of 2013, smugglers were caught transporting 54 live angonoka tortoises—nearly 13 percent of the entire remaining population—through an airport in Thailand. The angonoka tortoise's carapace (upper shell) is highly arched and mottled brown in color. The shell has with prominent, ridged growth rings on each scute (shell segment). The gular (foremost) scute of the plastron (lower shell) is narrow and extends forward between the front legs, curving upward toward the neck. The tortoise inhabits dry forests and bamboo-scrub habitats in the Baly Bay area of northwestern Madagascar, near the town of Soalala (including Baie de Baly National Park) where the elevation average 160 feet above sea level. The angonoka tortoise grazes on grasses in open rocky areas of bamboo scrub. It will also browse on shrubs, forbs, herbs, and dried bamboo leaves. In addition to plant material, the tortoise has also been observed eating the dried feces of bush pigs. These tortoises are estimated to reach sexual maturity around 15 years of age. The reproductive season occurs from approximately January 15th to May 30th, with both mating and egg hatching occurring at the onset of rainy seasons. A female tortoise can produce one to six eggs per clutch and up to four clutches every year. Collection by smugglers for the illegal pet trade is the most critical threat to the tortoise population. The introduced bushpig preys on tortoises as well as their eggs and young. Fires employed to clear land for cattle grazing have destroyed tortoise habitat. Collection for food over time has impacted populations to a lesser degree than the above activities. The IUCN classifies the northern leopard frog's conservation status as "Critically Endangered. There are literally only about 400 angonoka tortoise's remaining in Madagascar, the only place they are found on Earth. Their unique shell colorations make them a sought-after commodity in the exotic pet trade. "It is the world's most endangered tortoise," tortoise advocate Eric Goode said to CBS in a 2012 report on the ploughshare. "And it has an incredibly high price on its head. Asian countries love gold and this is a gold tortoise. And so literally, these are like gold bricks that one can pick up and sell." In addition to its IUCN listing, the angonoka tortoise is now protected under the national law of Madagascar and listed on Appendix I of CITES, prohibiting international trade in the species. 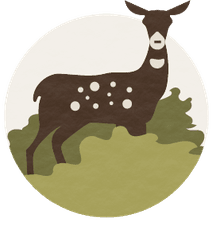 The Durrell Wildlife Conservation Trust created Project Angonoka in 1986 in cooperation with the Water and Forests Department, the Durrell Trust, and the World Wide Fund (WWF). The Project performs research on the tortoise and develops conservation plans designed to integrate local communities in the protection of the tortoise and its habitat. Local people have participated in conservation activities such as building firebreaks to prevent wildfire spread and the creation of a national park that will help protect the tortoise and its habitat. A captive breeding facility was established for this species in Madagascar in 1986 by the Jersey Wildlife Preservation Trust (now the Durrell Trust) in cooperation with the Water and Forests Department. Nelson, Bryan. “13 Percent of Entire Tortoise Species Population Found in Smugglers Bag.” MNN, Mother Nature Network, 5 June 2017. “Ploughshare Tortoise.” Our Endangered World, 24 Nov. 2013. “The Race to Save the Tortoise.” CBS News, CBS Interactive.